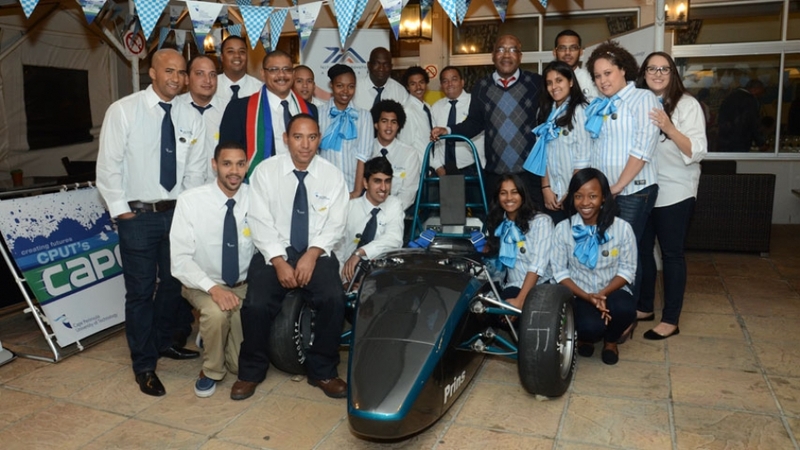 MASTER ENGINEERS: The Cape Speed team unveiled their formula racing car which has been named Prins, after CPUT Vice-Chancellor, Dr Prins Nevhutalu. 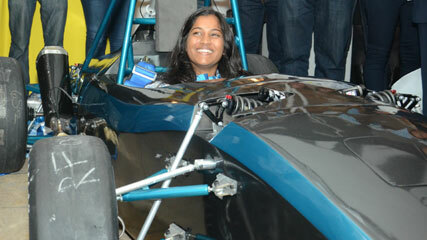 A carbon fibre chassis, smarter materials and a fuel efficient engine are just some of the innovative features of CPUT’s 2014 formula racing car. 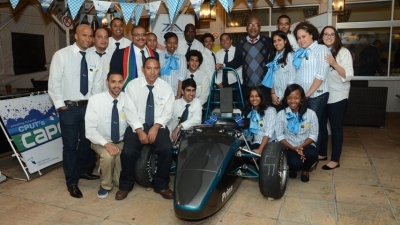 The racing car was designed and manufactured by students based at the university’s TIA Adaptronics AMTL research unit and was launched last night at the Granger Bay Campus. The team of students, known as Cape Speed, were lauded for their innovative design, which has earned them a coveted spot in the international Formula Student event set to take place in Silverstone, UK in July. Business Development Manager of the Technology Innovation Agency (TIA) for the Western Cape and Northern Cape, Saberi Marais, says he is proud of the work accomplished by the students. “What you have already accomplished thus far is amazing,” says Marais. The project has also been recognised as a World Design Capital (WDC) 2014 project and has also received a stamp of approval from South African rally champion drive Pierre Arries. Arries says says there are many opportunities in the racing industry and that such projects are moulding the next generation of engineers and others professionals needed for the industry. The car has been named Prins, after CPUT Vice-Chancellor, Dr Prins Nevhutalu and is representative of the university’s current journey of becoming a great institution. Nevhutalu is honoured to be part of this innovative project and says the university can only talk about being great if students are doing great things.